To determine the DNS name of an IP address in Wireshark, you can view the DNS packets to view the DNS name of an IP address. Before using Wireshark, you will probably want to run the ipconfig /flushdns to clear your local DNS resolver cache. 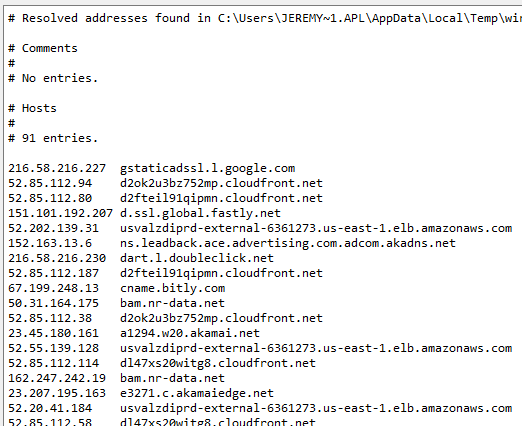 Select Statistics > Resolved Addresses to view a listing of the IP addresses to DNS names.